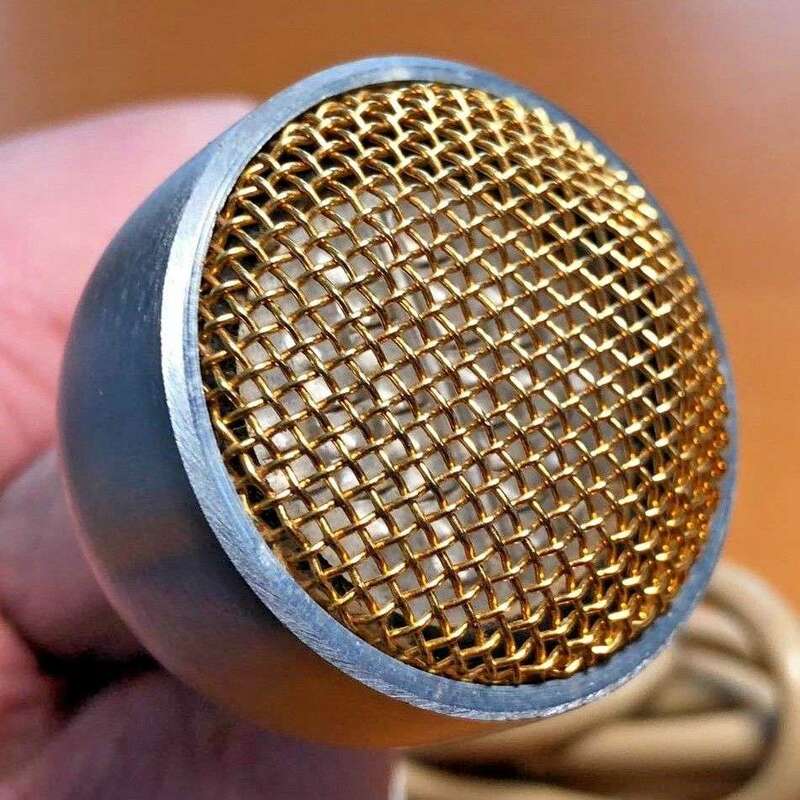 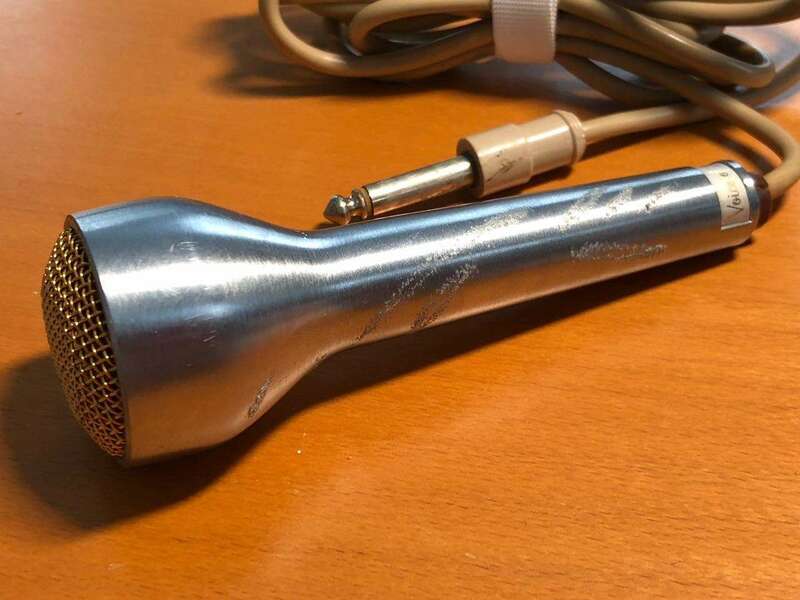 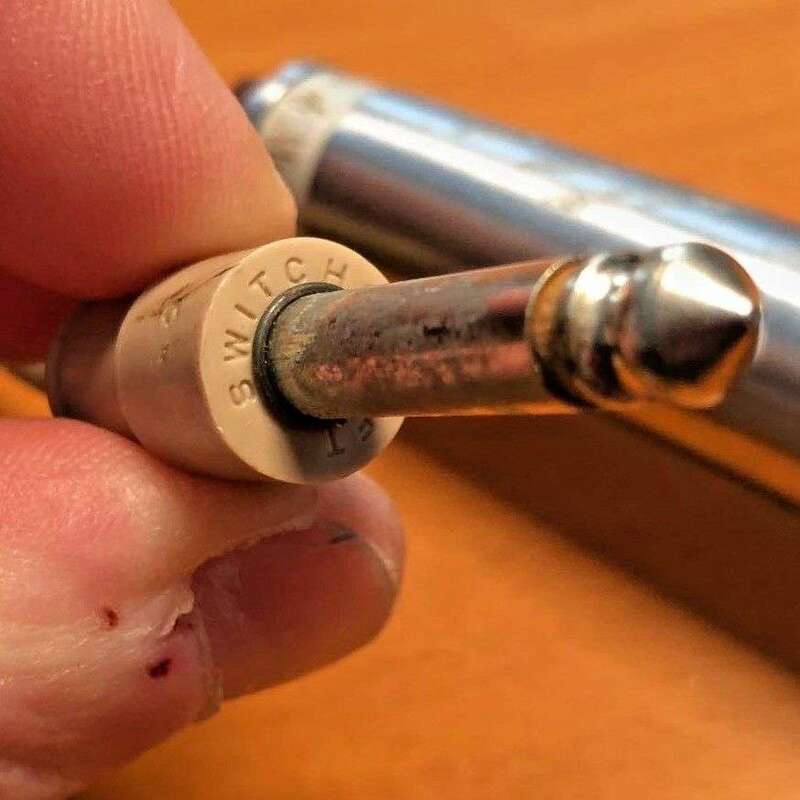 This mic has a unique tone for harp. 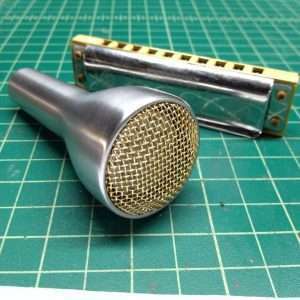 Similar to the tone found on many Little Walter and Jimmy Reed recordings. 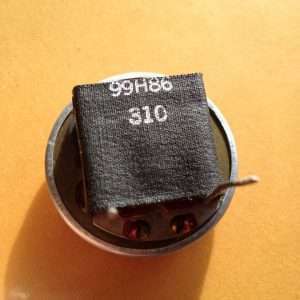 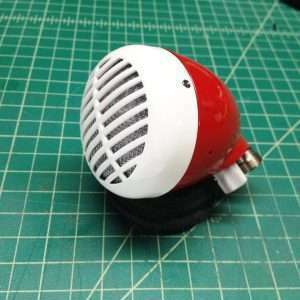 This Sonotone (Voice of Music) is light, and super easy to hold. 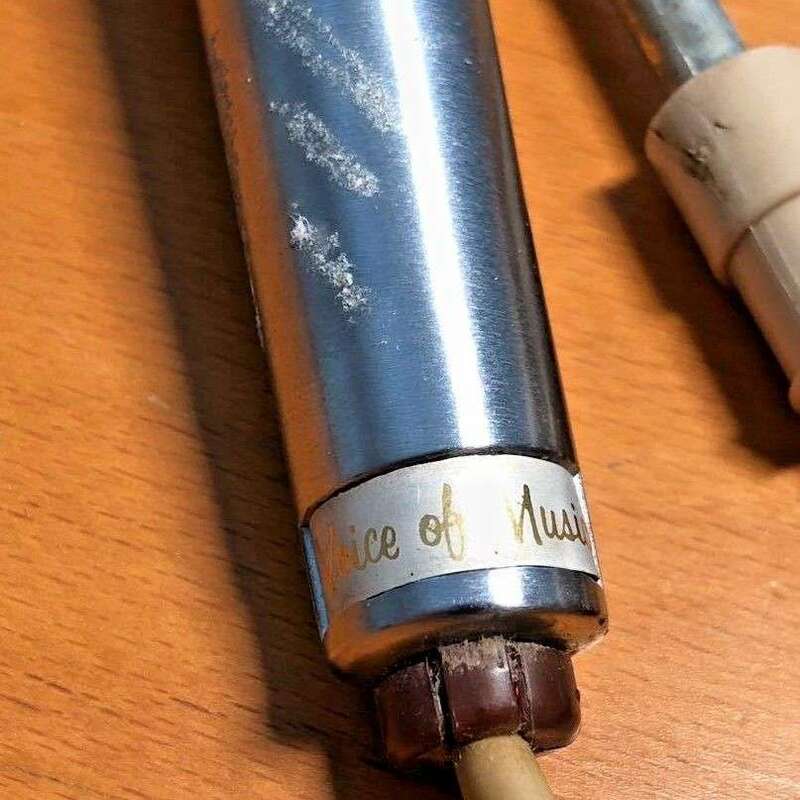 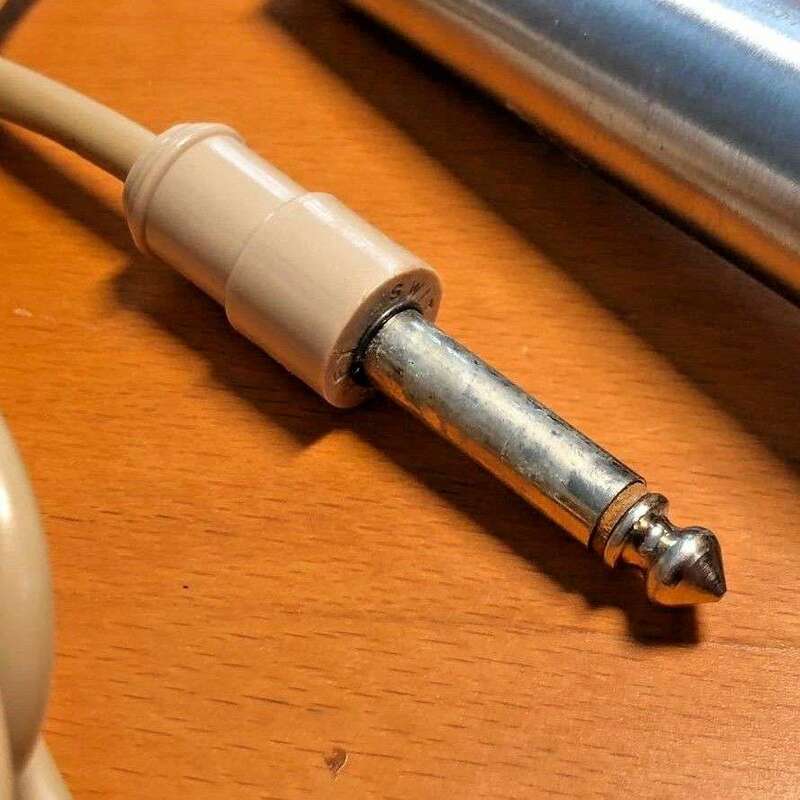 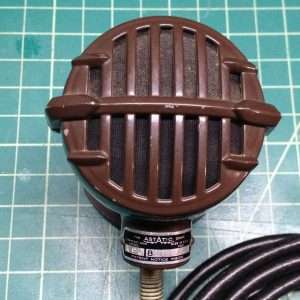 It’s got an original 1/4” guitar cord so you can use any standard guitar cord to hook up in your amp. 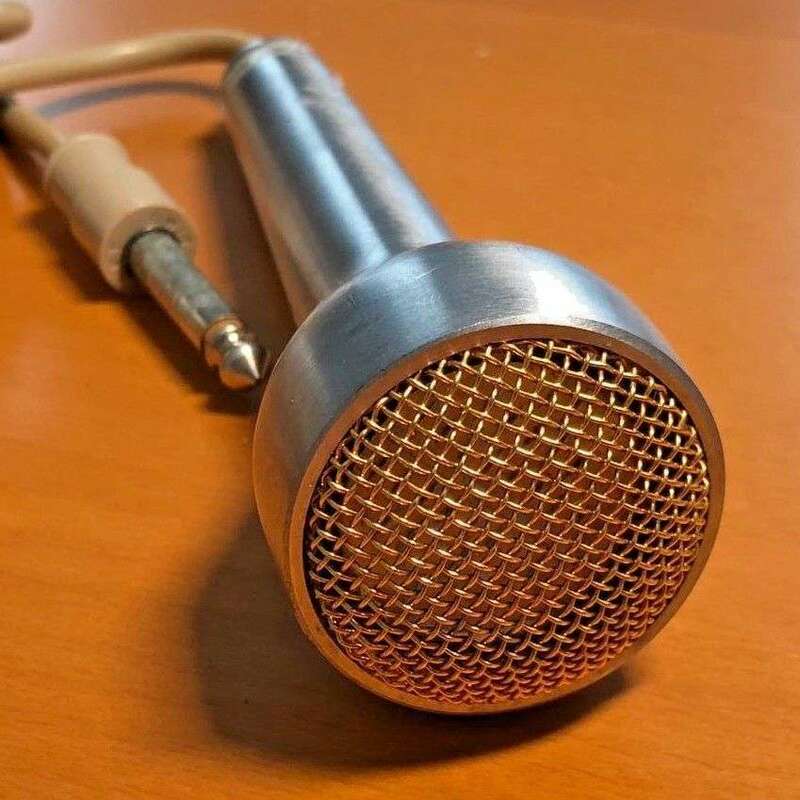 Tone-wise, this mic is pretty dirty, with great breakup when cupped, and excellent high notes. 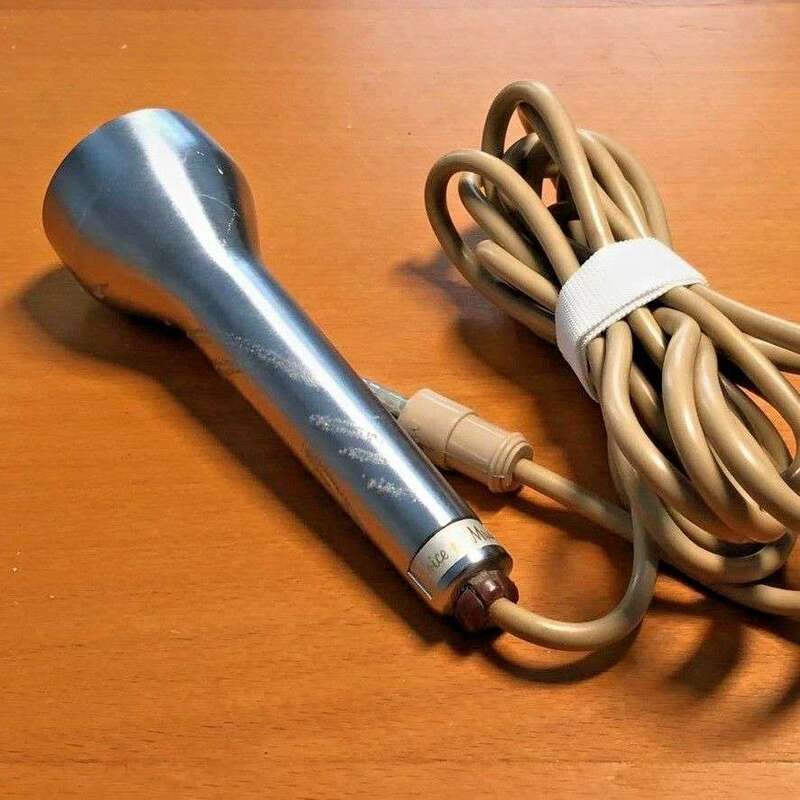 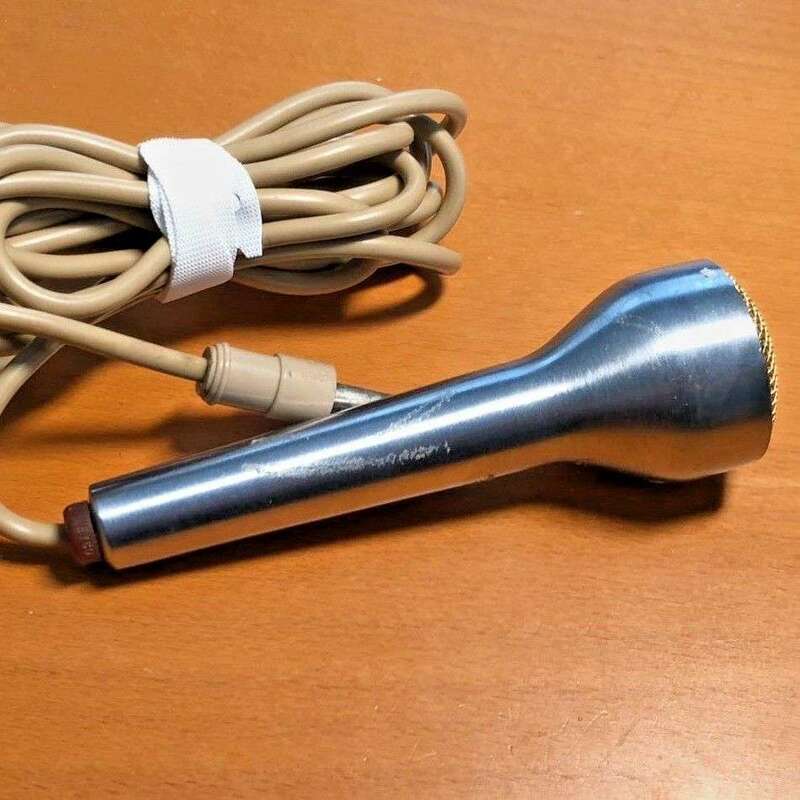 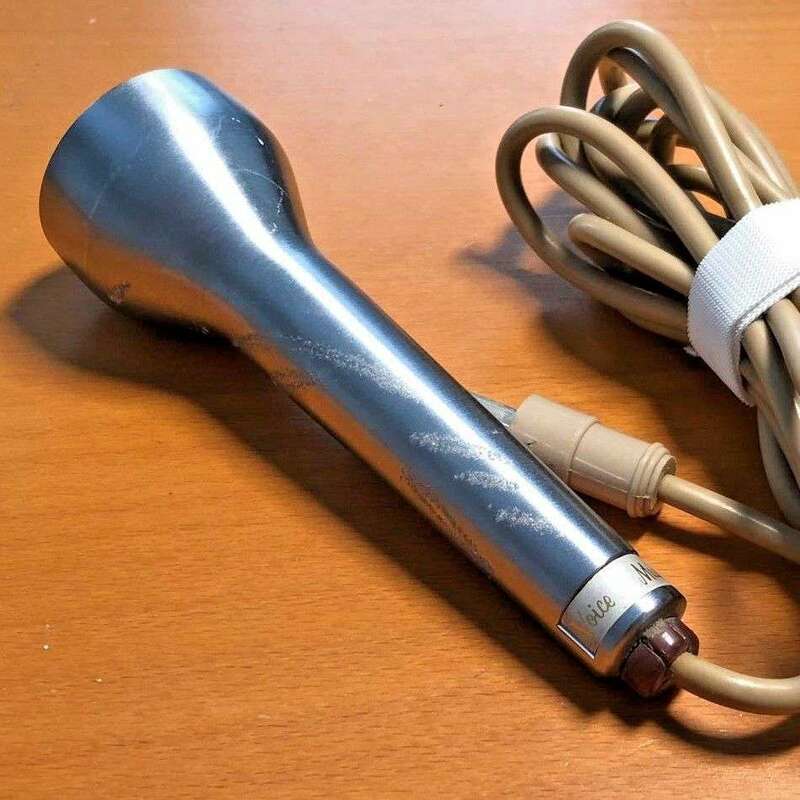 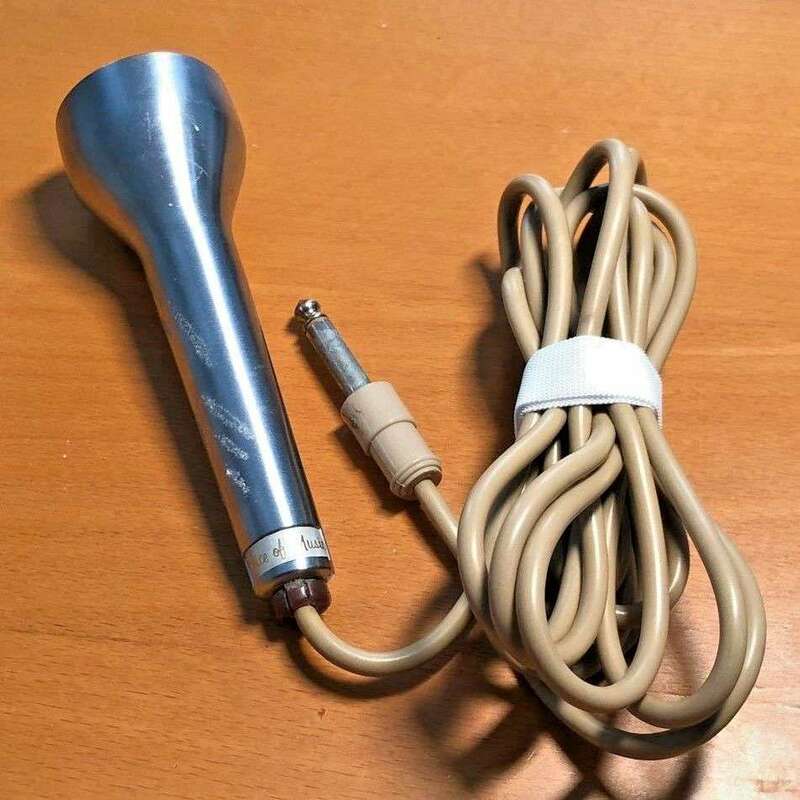 Still better than any of the new harp mics available today.